I am usually not very interested in politics. But with this year’s candidates, I found myself wanting to make sure people used their vote. 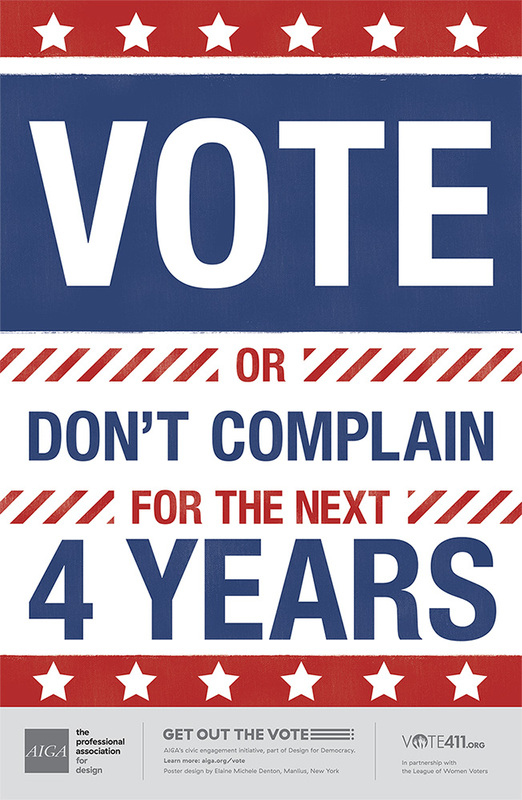 Here is my poster & message for AIGA’s Get Out the Vote campaign. Vote on November 8 for your future, your freedom and for your right to comment, joke and complain on our Government’s successes and failures for the next 4 years. 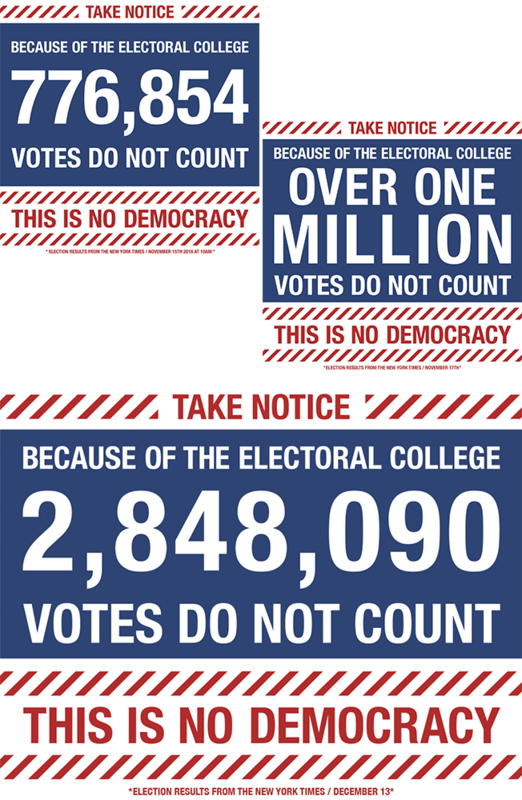 With the outcome of the election, I continued with this format hoping to educate others on how with our current system every vote does not count.